Lauren has been a certified personal trainer and group fitness instructor through the America College of Sports Medicine (ACSM) for 8 years. Lauren excelled in her collegiate soccer career at Division 1, Lehigh University where she earned her degree in the School of Business & Economics. She draws on her past experiences as an athlete to develop effective, efficient programs for her personal training clients and group classes. 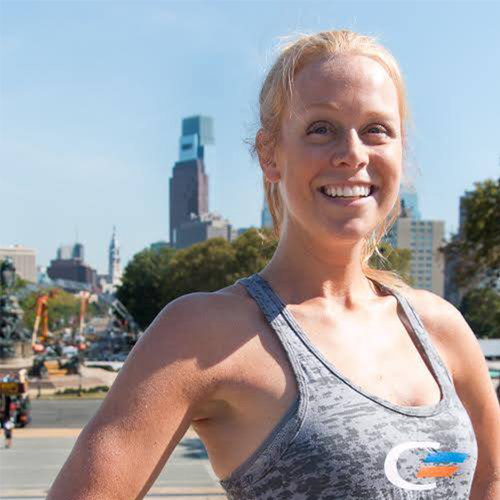 She continued her love of fitness after college by competing in and completing 5K’s, 10K’s, half-marathons, marathons, and Olympic distance triathlons. She loves to help new runners realize that they too are capable of such feats with the proper training and dedication. As a firm believer that nutrition is just as important as exercise to produce the best results, Lauren pursued her certification in nutrition therapy at the Nutrition Therapy Institute of Colorado. As a CNT, Lauren believes that every person has a different body type, lifestyle and goal in mind and therefore deserves a program that is created specifically for them. She works with clients to identify their nutrition needs through diet analysis, nutritional recommendations and meal planning among other services. When you can incorporate both exercise and proper nutrition in your life you will see changes that you never thought possible begin to come naturally! Lauren is also certified as a Pranayama Prenatal Yoga Instructor. She loves working with new moms and moms-to-be during this exciting and special time in their lives. She instructs both one-on-one yoga sessions and small groups for clients looking to keep their fitness level up, strengthen the core, focus on breathing techniques and most importantly bond with their baby as they prepare for this exciting time! Lauren believes that combining fitness in a fun atmosphere is the best way to make working out an enjoyable and effective part of your lifestyle. She enjoys challenging her clients one-on-one and in class settings to help them realize how much they are capable of and how much better they feel when they get out and make it happen!